SDM Partners is established and carries out its business in full accordance with international standards for rendering legal services. 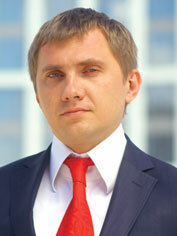 We provide the full package of legal services required for doing business in Ukraine. Our main areas of practice are: corporate / M&A, commercial, antitrust, tax, intellectual property, corporate finance, construction and real estate, banking and finance, capital markets, compliance, employment and immigration, dispute resolution, arbitration / litigation, subsoil use. The firm’s personnel are represented by highly qualified experts in law who have solid and successful professional experience with international law firms and multinational companies. Every single one of our lawyers is an expert specializing in one or several fields of law and possessing a large and successful law practice. Many of our key lawyers have been working together for more than 15 years. That’s why our client can be sure that they are served by the company at the same quality level as would be the case with top international law firms. SDM Partners is located in Kiev. At the same time, we’ve established an expanded and reliable regional network of partners to provide our client with qualified legal services in all regions throughout Ukraine. Moreover, as a local counsel SDM Partners cooperates with numerous law firms in CIS countries, Western Europe and the USA.